I seem to have missed posting about the SKA Mystery sock challenge for this month. 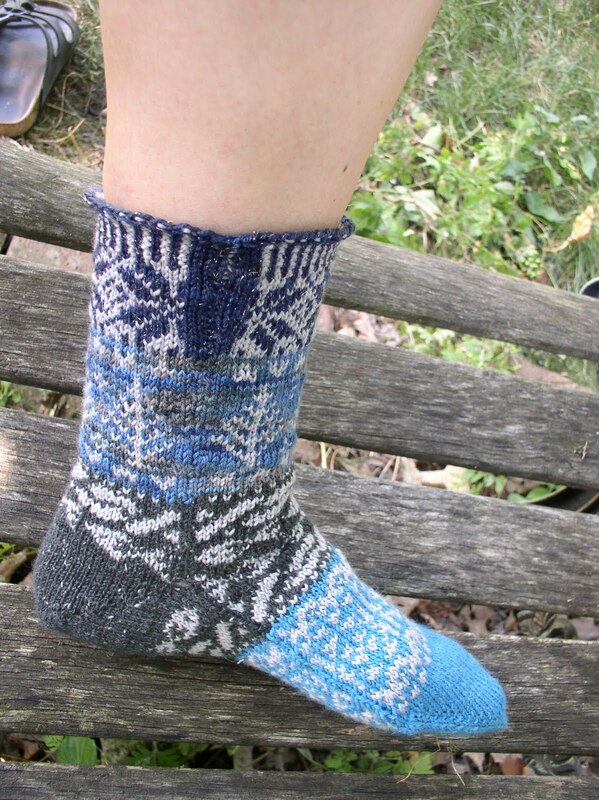 It is a Chrissy Gardiner pattern, which at the moment is called Progressive Sock Party. The name may change now that all the clues are out. This is how clue #1 looked with all the yarn. 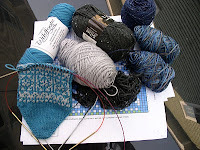 Most of it is left overs from other sock projects. Clue #4 came out this morning. Since this month the clues come out on my day off work, I can get right on them. One sock finished! 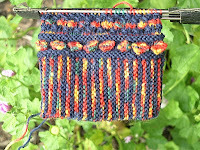 Another knitting blog started a dog days of summer challenge to finish unfinished projects. This jacket was started over a year ago. 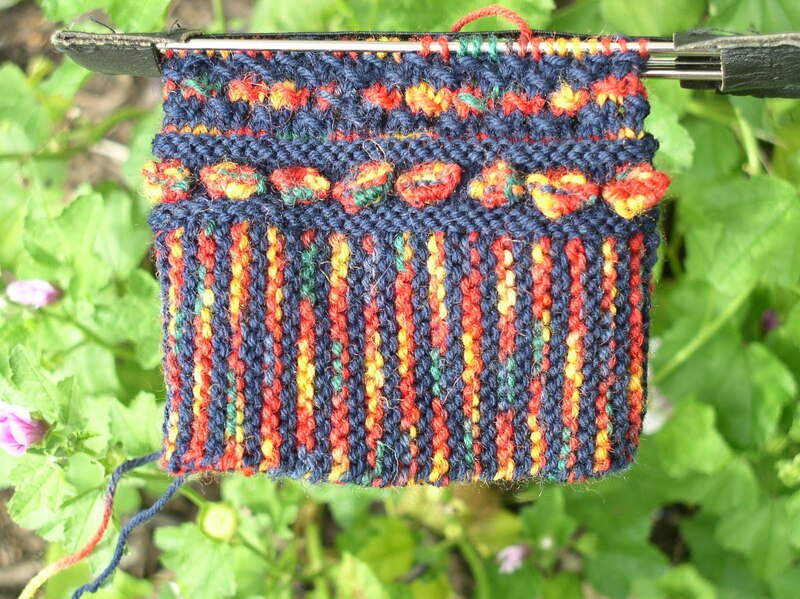 That may not be long for some knitters, but it is one of the few works in progress for me. I'm doing lace now. We have a collar and one sleeve cuff. 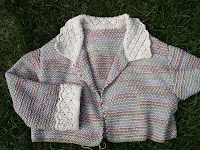 I may need to shorten the sleeves, but I'm going to wash and dry it first. It still needs the other sleeve cuff, bottom band and front bands. It won't be done by the August 5 deadline, but I can wear it when the weather changes. 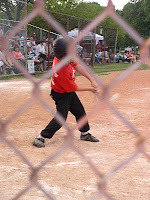 A certain grandson is a 7 yr old all-star in his 7 & 8 yr old baseball league. Grandpa and I watched his game. 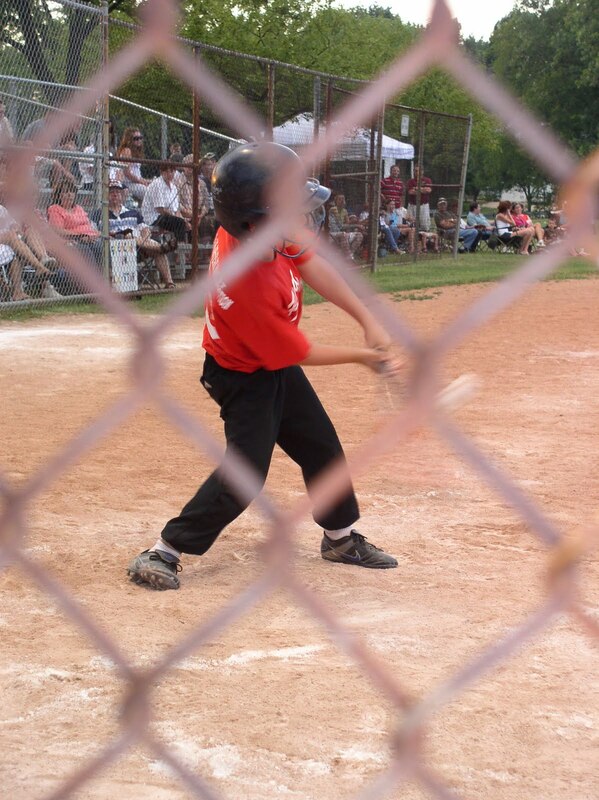 They play 5 innings with the coach pitching and the kids doing all the fielding. MB got a hit! His younger brother is 3 and had a birthday party last Sunday. PJ pants have been a big hit as gifts, so I made him a pair with trucks on them. He put them right on. I guess I'll have to keep sewing pj pants. I have a Butterick pattern in all sizes. 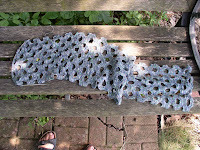 The goal is to have the scarf finished by the August meeting, August 9. 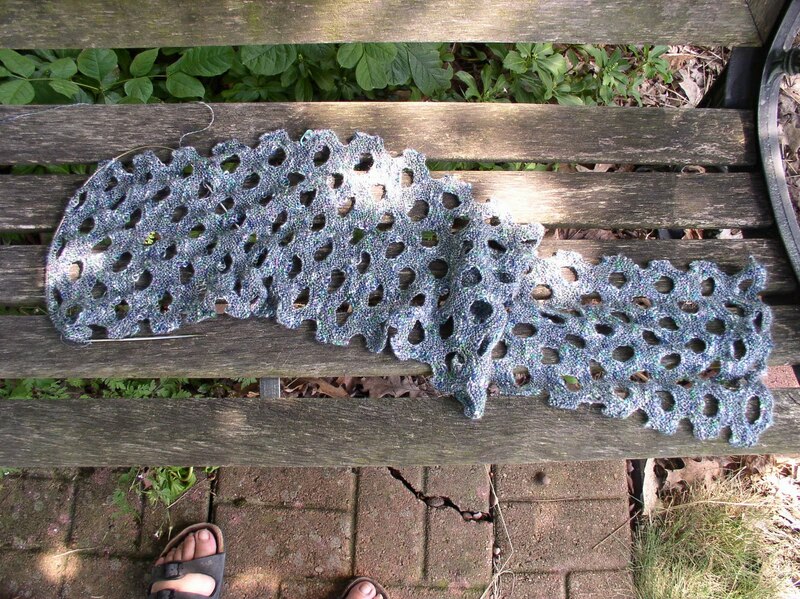 The pattern is called Swiss Cheese Scarf. I decided how long I want it, trying to allow for stretching, and marked the middle. Now all I have to do is count the side bumps. When I get close, I'll try it on. Current figuring has it 65% complete. Lucy Neatby wrote this complex pattern a few years ago, and I put it on my wish list and in my cache on Ravelry. One of the options for Ravelry's SKA group this month was stranded color work. The time had come. The thinking was to work on these4 socks while waiting for mystery clues. Reality said that I had a few other things to work on, but I've made some progress. 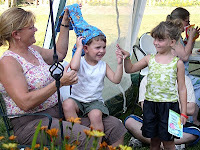 The deadline for prizes for both pairs of socks is August 31. My chances of winning are slim, but I should finish both in time.